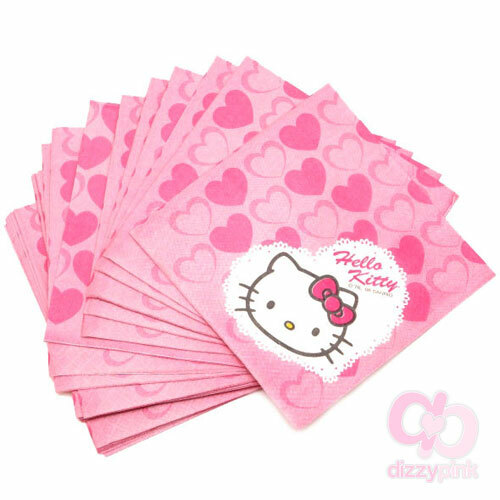 Have the perfect Hello Kitty party with these pretty pink heart Hello Kitty paper napkins, each pack has 24 delightful party napkins. (W) 33cm. We stock a range of Pink Heart partyware so theme your whole party with Hello Kitty.